Last edited by gone-ot; 03-13-2010 at 03:23 PM..
^This pdf has a graph that I didn't see how to grab and copy. It may be the best breakdown of this issue I've seen. It says a small car will see +4% fe with -10% weight. 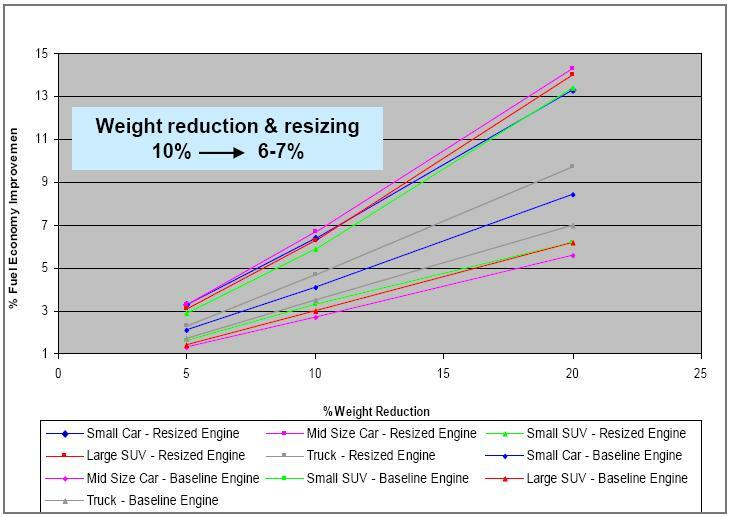 It says a small car with a resized engine could see +6.5% per -10% weight- an important distinction with "resized engine" being smaller displacement, optimized for the lighter weight. Between this and the Ford piece, I'd go with +3-4%/-10%. But that's certainly debatable. The Alien - '10 Kia Soul !